Home / Treasury / Articles / CaaS: What Is Content-as-a-Service? The CMS becomes a content provider, delivering content as a service to many outputs and experiences syndicated far beyond a single digital property. Traditional CMS platforms like WordPress and Drupal sell themselves as single solution software that handles both the management of content and its output and display. Often this means tying down content in a way that requires the CMS for creating all the customer experiences. But content needs to live in more than one place and often needs to fuel customer experiences far beyond the CMS-powered primary website. In that case, one should consider providing content via an API. All of these characteristics involve managing content. The functions of a traditional CMS, which control the presentation and display of content, has been stripped away. While it might seem like CaaS does less than a traditional CMS, what it really does is simplify the management of content and give it more flexibility. Rather than determining the way content is displayed, it hands that function over to other systems that can deploy and present content however they want. Some traditional CMS platforms attempt to embrace CaaS through addons and plugins. Many of these are still web- and page-centric platforms concerned more with content presentation rather than content management and provision of content via APIs. Multichannel publishing: A single content repository makes it easy to deploy the same content to multiple channels (apps and websites) rather than having to create and maintain separate content systems for each one. Artificial intelligence and chatbots: Structured content provided via API is easier to move around for use by artificially intelligent agents and chatbots. Robots like to be able to consume structured content via API because it's a lot easier and has better relevance than screen scraping and natural language processing unstructured content. Who Is Interested in CaaS? Developers are some of the primary drivers behind the popularity of CaaS. In many cases, they are either mobile app developers who need a backend to store content for their apps or front-end developers who need to interact with an API. CaaS solutions satisfy both of these needs. 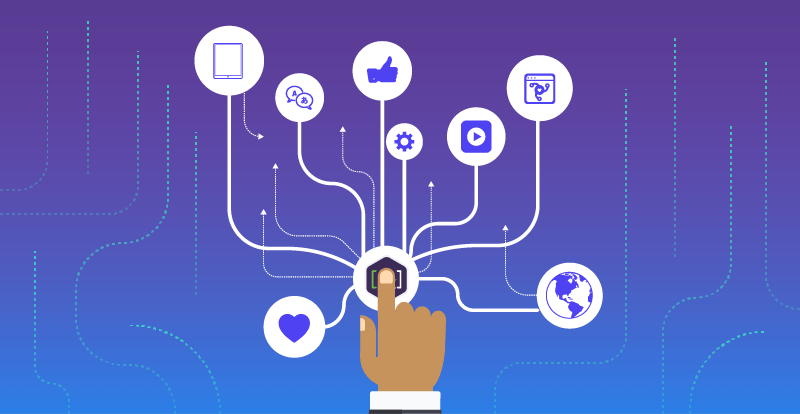 Business owners are also running into the limitations of traditional CMS as they are increasingly needing to push content into multiple channels beyond just websites, including mobile, social networks, and smart devices. The cost of maintaining separate systems is often prohibitive, and it is also much more efficient to have a single editorial team and software stack for all channels. Channel proliferation: As new content distributions channels emerge every day, the need to control your content and keep it flexible is more important than ever. Businesses need to stop thinking of content only as something that gets put onto websites. Multiple model options: CaaS allows organizations to keep content in a single repository and move whatever content they need wherever they need it. Personalization: With CaaS, businesses can assemble content dynamically, allowing it to be personalized when needed, and to even control the level of personalization. Personalization can be accomplished by a custom set of rules rather than on an entire project level, allowing for greater speed of deployment and flexibility. Insights: By treating content as data stored in a single repository, CaaS allows organizations to measure how content performs across multiple channels. By looking at API connections, it’s easy to track and see how the same content is performing on a website versus an app. Replatform to a "headless," cloud-based CMS that is native to content-as-a-service architectures. The CaaS approach can be boiled down to one fundamental concept: content as information and data. By separating content management from presentation, CaaS solutions allow organizations to distribute content to any channel or device that exists today as well as those yet to come.